Thank you for your interest! 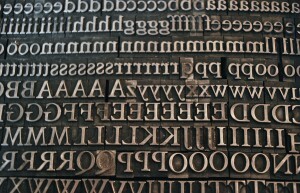 Registration for the Letter Press Workshop at the Center for Book Arts on April 23, at 6:30pm is full. If you would like to be added to the wait list, please email feministstudiesgroup@gmail.com with your name and contact info. Please join us next Thursday, 3/27, at 3:30p, as Akemi Nishida, PhD candidate in critical social/personality psychology, CUNY Graduate Center, offers the next talk in the “Critical Diversities” series, “Publish or Perish: A Critique of the Neoliberal Academy From Disabilities Studies.” The talk, in room 9205, will be followed by Q&A and discussion. Refreshments will be provided. Nishida is also an adjunct lecturer in the disability studies program at CUNY’s School of Professional Studies and a member of both the CUNY Coalition for Students With Disabilities and the national Disability Justice Collective. Sponsored by the Diversity Projects Development Fund, CUNY, and the Doctoral Students Council, CUNY Graduate Center. Co-sponsored by the Disability Studies Program, CUNY School of Professional Studies, and the Women of Color Network, CUNY Graduate Center. Flyer attached. Please forward widely. Comrades from across NYC welcome. For more info on this series, “Critical Diversities and/in the Academy: Thought and Practice,” please visit opencuny.org/criticaldiversities. Celebrate International Women’s Day with FSG March 10! February 25th, 2014 · Comments Off on Celebrate International Women’s Day with FSG March 10! FSG is pleased to announce a screen printing workshop at the Gowanus Print Lab Monday, March 10 from 7-10pm! RSVP is required–space is limited! FREE with RSVP–details and instructions for participants to come! Please join FSG and GC Women’s Studies and LGBT Librarian Shawn Smith for a workshop on Feminist Research and Resources here at the GC. RSVPs are appreciated to feministstudiesgroup@gmail.com. 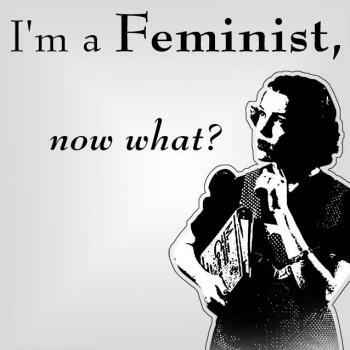 Interested in Feminist Theory? Considering using it in your dissertation? Come hear from current GC students incorporating feminist theory or methods in their dissertations! Stephanie Campos and Livia Woods will discuss their dissertation projects. The presentations will be followed by a discussion of their experiences with the dissertation writing process, particularly the experience of working on projects that involve feminist topics and/or methods. The Feminist Studies Group is putting together an exciting series of workshops for April and May, and if you are currently working on your dissertation, we are hoping you will be part of one of them! – How does feminist theory inform their process? – In what ways do they incorporate feminist theory into their home disciplines? – Have they experienced any resistance to using feminist methods of inquiry in their dissertation? We plan to schedule the event in late April or May, depending on the availability of participants. If you are interested in presenting, please send your name, contact information, a brief description of your work, program, and a general idea of your availability to feministstudiesgroup@gmail.com by Friday, April 12.